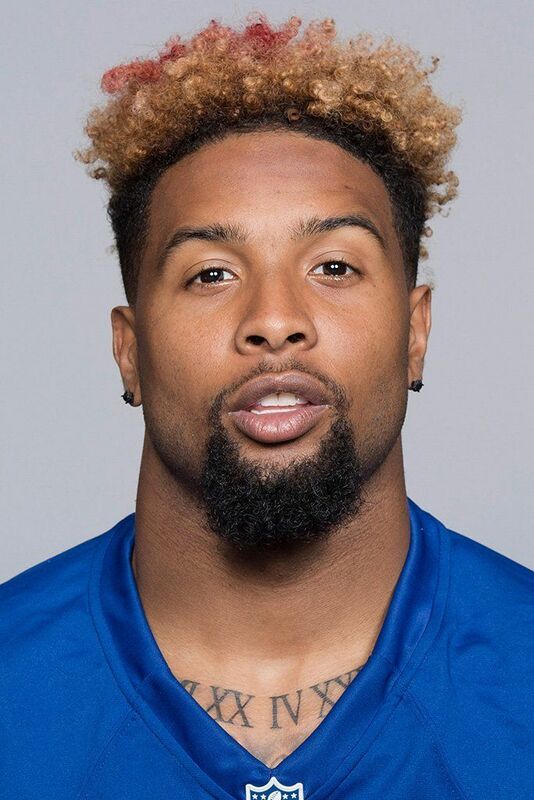 Odell Beckham Jr. is an American football wide receiver for the Cleveland Browns of the NFL who is not only famous for his athletic abilities but also for his unique haircut. People are going gaga over his haircut since his one-handed catch in 2014, his first year in the NFL. The Odell Beckham haircut is becoming the signature look for black men, more and more people are choosing this haircut everyday. His signature haircut is usually a faux hawk with fade, but in 2019 Odell haircut is slightly different and is called Mohawk. The real and signature look of Odell Beckham can be obtained by keeping a few points in mind. 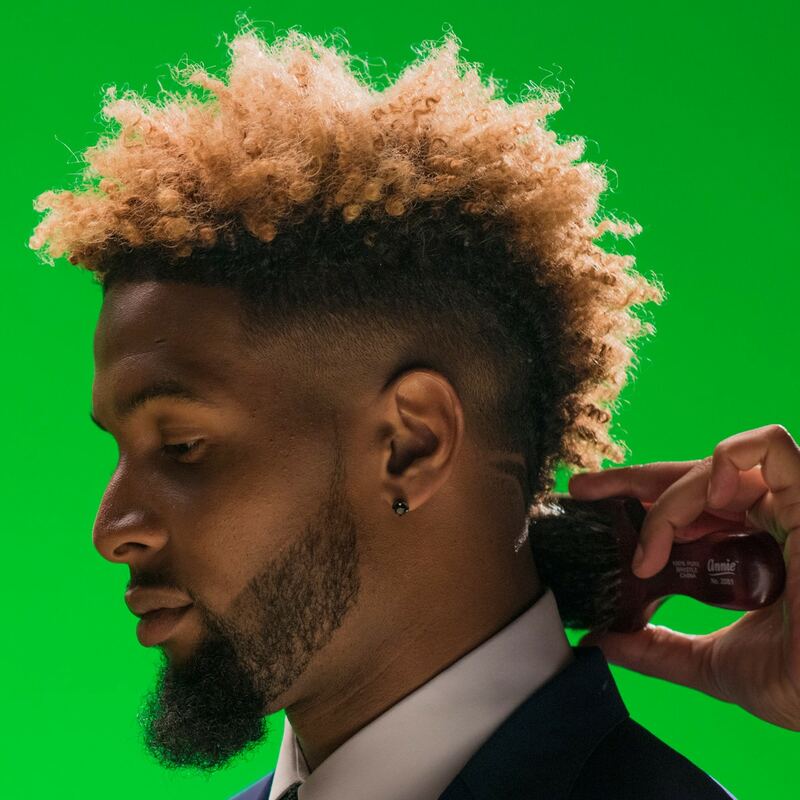 The Odell haircut can be best achieved if your hair is naturally curled, but if not then don’t worry, the barber will apply some hair products on your hair to make it curl. The haircut Odell Beckham usually wears is long and dyed so if you want the exact same look then you should have long and dyed hair. The back and sides are faded with a clipper and the top is faux hawk to complete the look. Beard matches well with this haircut and enhance the overall look. Following are some of the most trendy Odell haircuts popular among the blacks. 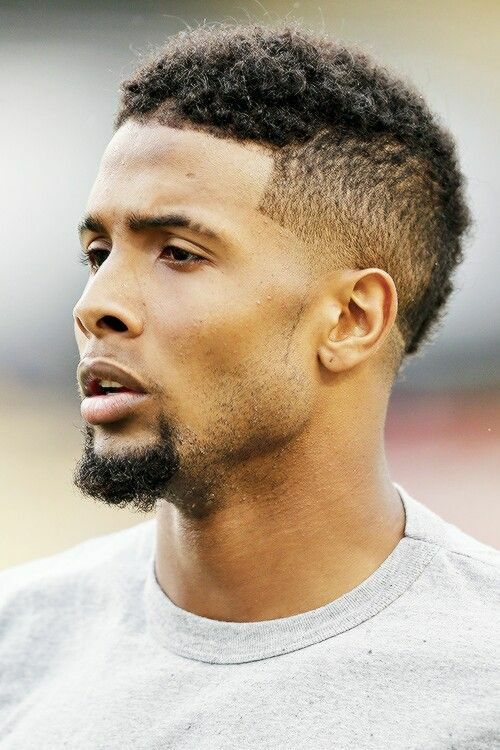 This hairstyle of Odell Beckham has short trimmed hair instead of long curls. This look creates a neat and clean effect when paired with a goatee. The red-blonde dye of the hair make this look cool, the curls are of medium size, neither too long nor too short. This hairstyle looks really cool because of two different shades of hair. The tips of long curls are frosted with lighter color while the roots are dark. The long curls are standing at the top of the head making it look even cooler. This dual colored Odell haircut is one of the most famous among black men. The light brown sponge hair in the roots and black at the top bring out the whole look together making it look classy. This is one of the Odell’s signature looks for attending the fan conferences. The barber sets the long curls as spikes by using hair products. The sides are faded to the skin. This is a very cool hairstyle for black men. The long platinum curls are styled to give a messy look. The Blond Mohawk haircut is paired with fade which is patterned by some hair tools. 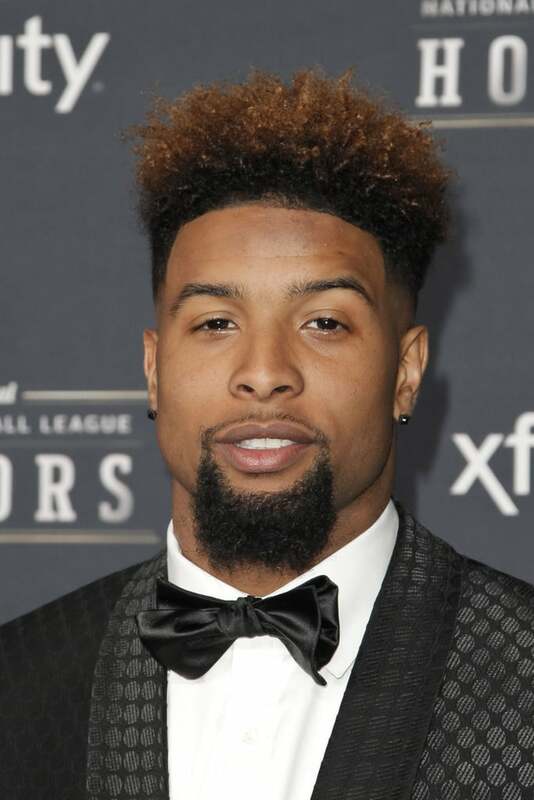 This is one of the most unique Odell Beckham haircut, the curls are very long and are falling at one side making the hairstyle look like that it’s short from one side and long from the other. 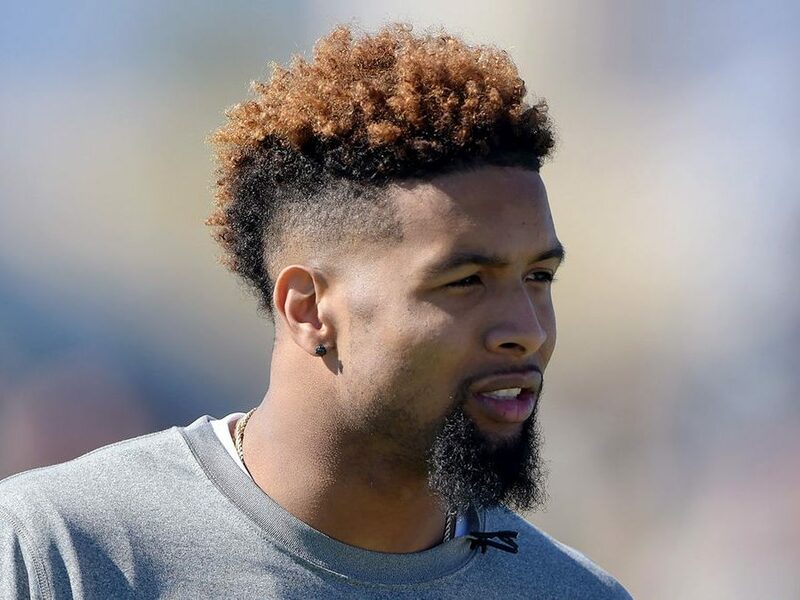 This is the signature haircut of Odell Beckham which started all the craze for this trend. The top of hair are styled like Mohawk while the sides are taper faded. You can frequently visit the barber to maintain the edges of Mohawk. The dark brown, medium curls Mohawk are styled very neatly and matched with the long goatee. This look is perfect for a casual or formal event where you want to look nerdy or smart.